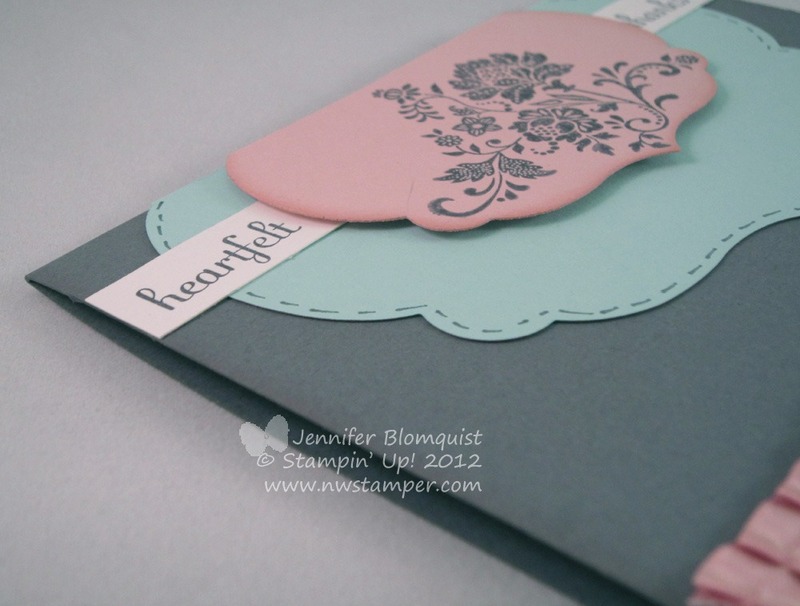 It’s been a while since I’ve participated in a blog tour and so I decided to join up with one through a Stampin’ Up! demo business group called SUDSOL. On Wednesday a group of talented demos will be sharing cool ideas for using some of the new Sale-a-Bration and Occasion mini items. We each have to share at least 3 samples and I’m really happy how my samples turned out. So, in the hopes of encouraging you to come back and visit me on Wednesday, I thought I’d share today a little sneaky-peek of one of my projects. And I will say, there is another really fun feature of the project show above that you totally can’t see from the picture! Since the end of last year, I’ve started to get on a scrapbooking kick. I realized that I had a lot more fun and was much faster with scrapbook pages when I started from a sketch and so I started playing along with some sketch challenges. This was a page I created based on a sketch by the very talented Kristy Lee. Normally, I am one of those people who try to jam a million 4×6 pictures onto a 12×12 scrapbook page; so the idea of only having one picture is definitely outside of my comfort zone. 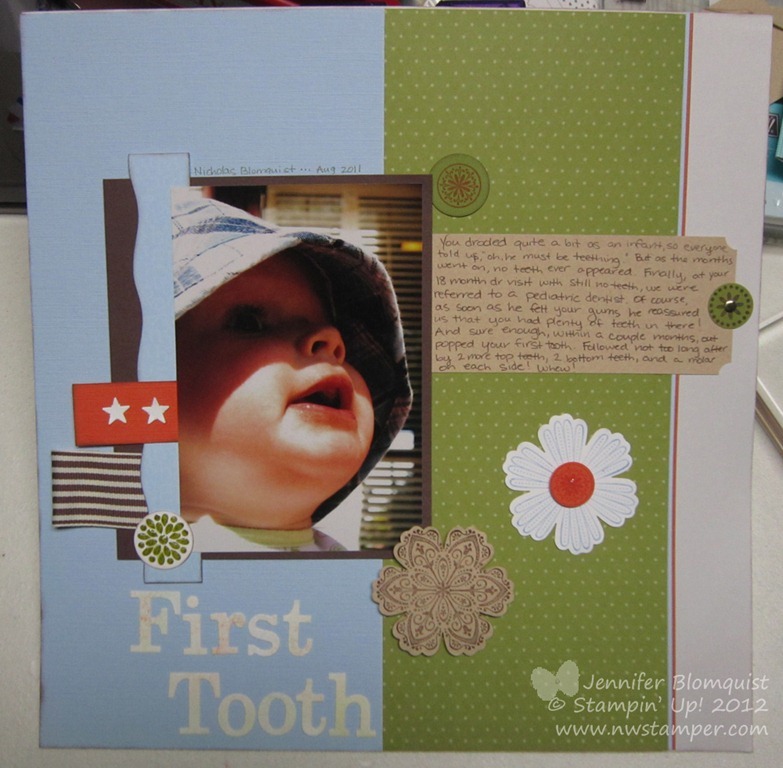 However, I loved this picture and it stood alone well for the story (Nicholas getting his first tooth) that I just went for it. It also meant I had lots of space to fill with other elements on the page. So I grabbed my new Mixed Bunch stamp set and matching Blossom punch from the Occasions mini and am pretty sure I used every stamp in the set! 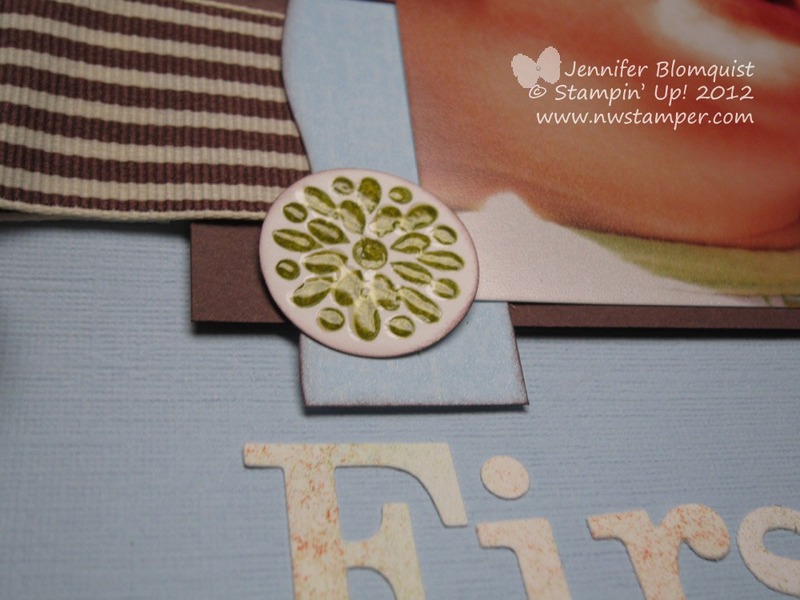 I punched and popped up the flowers with varying heights to add some dimension to the page. And then I added some extra accents for fun – a brad here, some dazzling details on the Tangerine Tango center of the white flower (hard to see in the picture), and some Crystal Effects on the green flower thing. You can also kind of see in this picture how I had fun sponging the letters for my title. I busted out my Big Shot to cut them out but thought white was too stark. 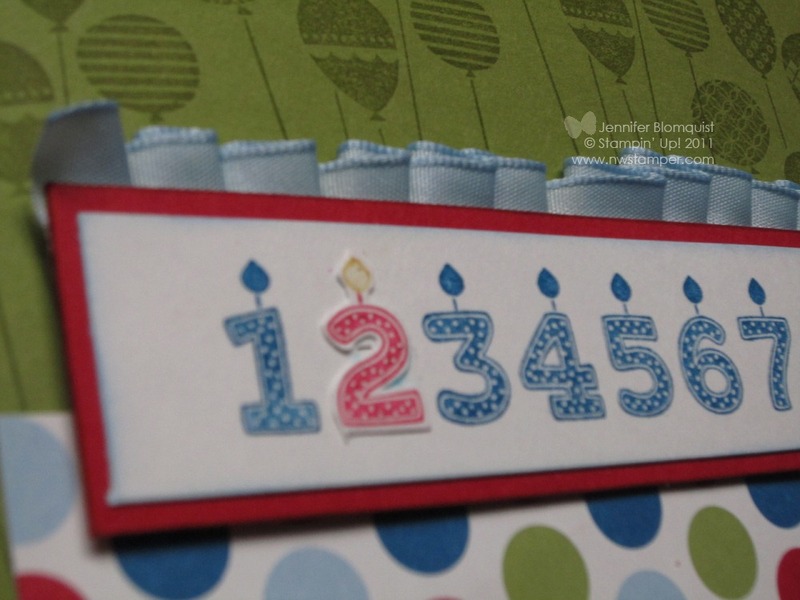 So, thanks to the awesome color matching-ness of Stampin’ Up papers and inks, I was able to pull in the colors of the papers by sponging the coordinating inks across the letters (well, I actually sponged the paper and then cut out the letters, but you get the idea). This was a new idea for me; and I’m definitely going to have to do it again. 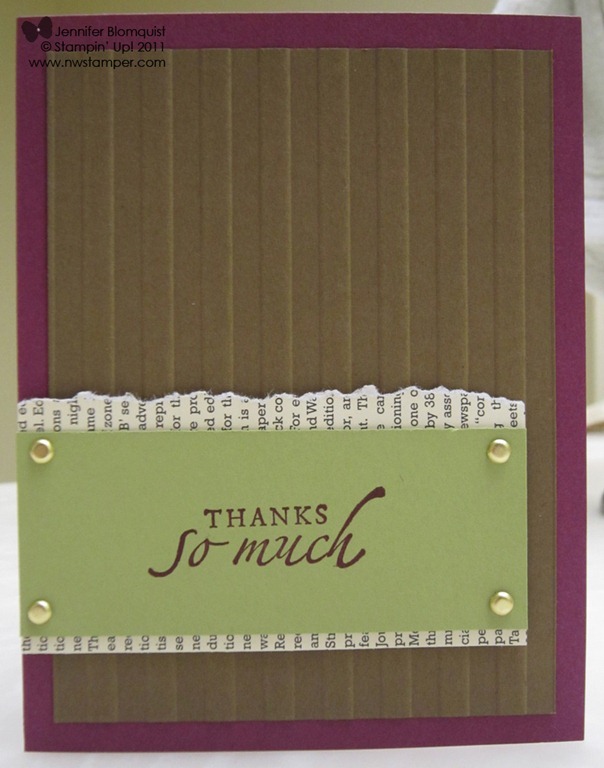 So this is meant to be a quick and easy card you could make when you need a thank you card and everything you have in you drawer is too girly. This was also one of my first times pulling out the First Edition specialty designer paper. It’s a lighter-weight paper, so its kind of fun to play with – even when you are just doing something as simple as tearing an edge. 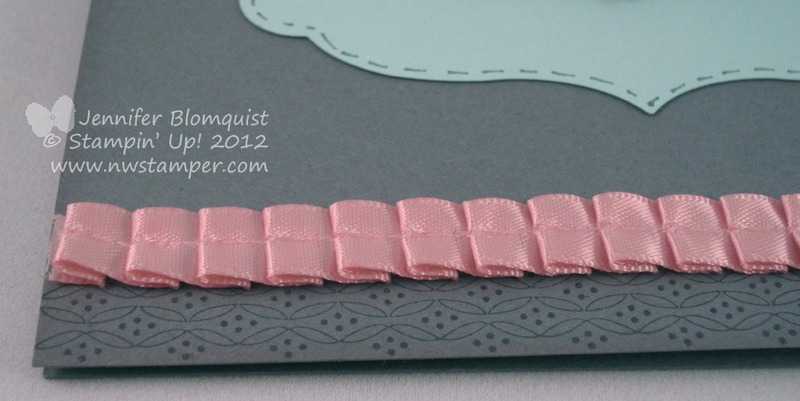 Oh, and did I mention that the Stripes embossing folder is one of the items you can get FREE during Sale-a-Bration? So, while I’m still trying to figure out just what defines a “masculine” card; I think this will work for now! I didn’t have a cutesy stamp set that screamed “kid’s birthday” to me, so I pulled out my new Patterned Party set and started playing around. 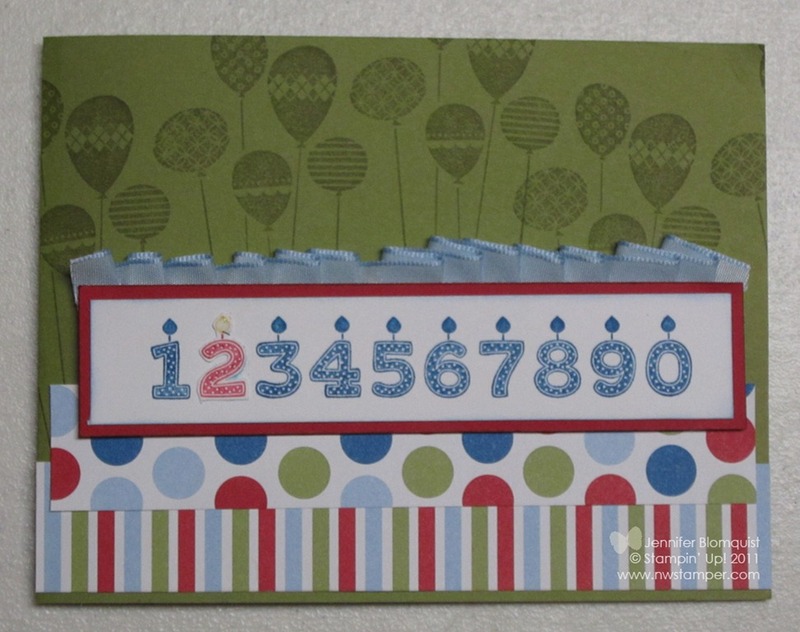 I stamped the numbers image first using the Pacific Point ink and then stamped a second time on a piece of scrap only this time coloring in the number 2 with Real Red and Daffodil Delight markers to give it some “pop”. Then I cut it out and glued it over the blue image. After it was all put together, it felt like it was missing something so I dug through my stash of ribbon and ran across some Bashful Blue taffeta ribbon and decided to play with adding it above the numbers. I thought it looked like icing…which I thought was fun for a birthday card. I also added some Dazzling Details glitter glue to the flame on the number 2, but it is really hard to tell from the pictures. In the end, while he was more caught up in the excitement of unwrapping I was still happy I took the time to make the card. And while it may seem silly; I’m totally putting it in his scrapbook! 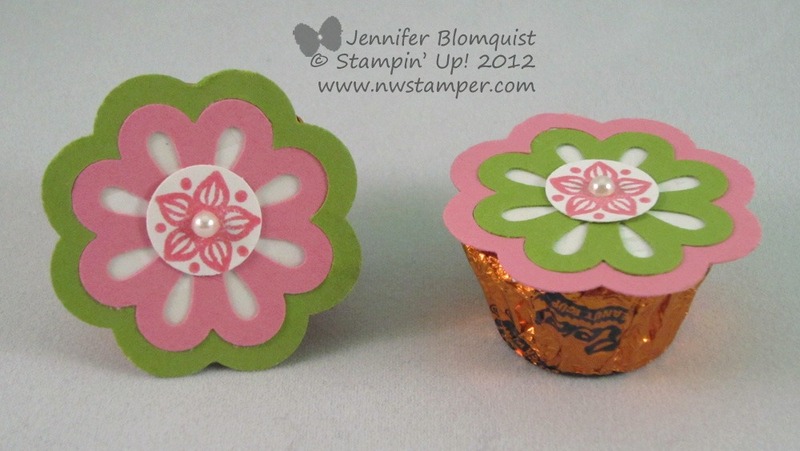 Click Here To Order Stampin’ Up! Products Anytime! Well, between the holidays (and being way behind on my thank you cards) and just being so grateful for my customers, downline, and online crafting friends who have been amazingly supportive while I’ve been dealing with a new baby instead of posting. So, I have “Thanks” on the brain. This time, I pulled out a couple more fun new stamps. 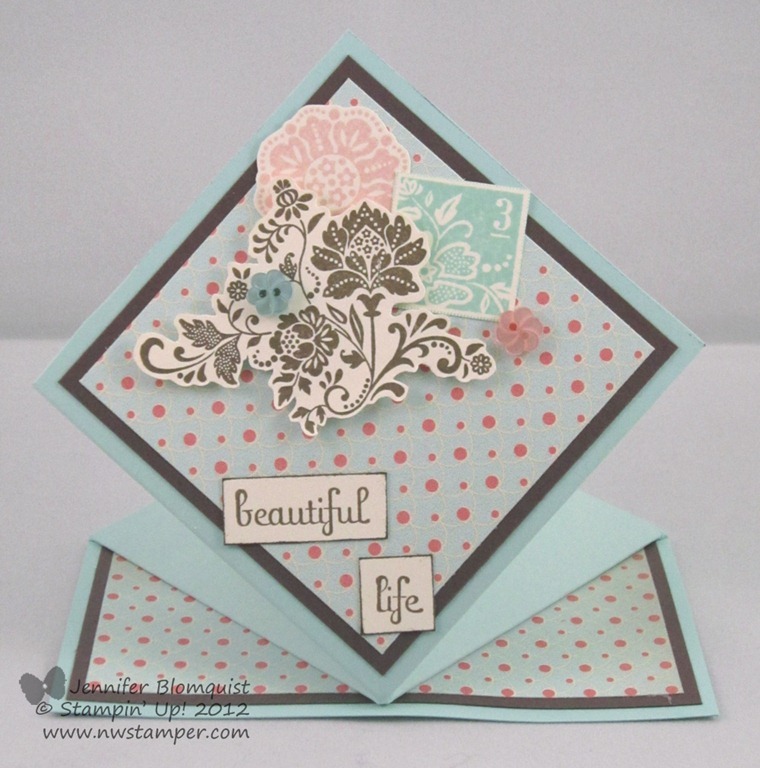 First, the Mixed Bunch stamp set from the Occasion mini – and of course, it’s matching blossom punch! 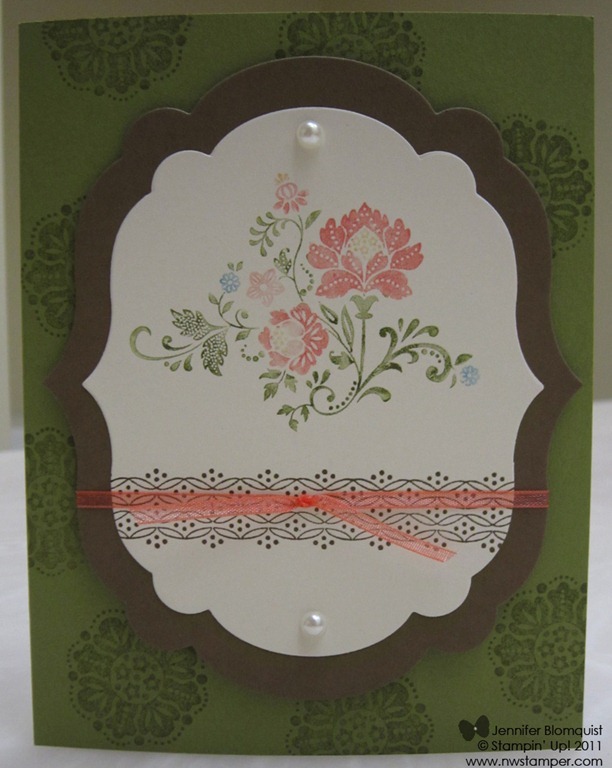 Then for the sentiment I used the FREE Outlined Occasions stamp set from the Sale-a-Bration catalog. 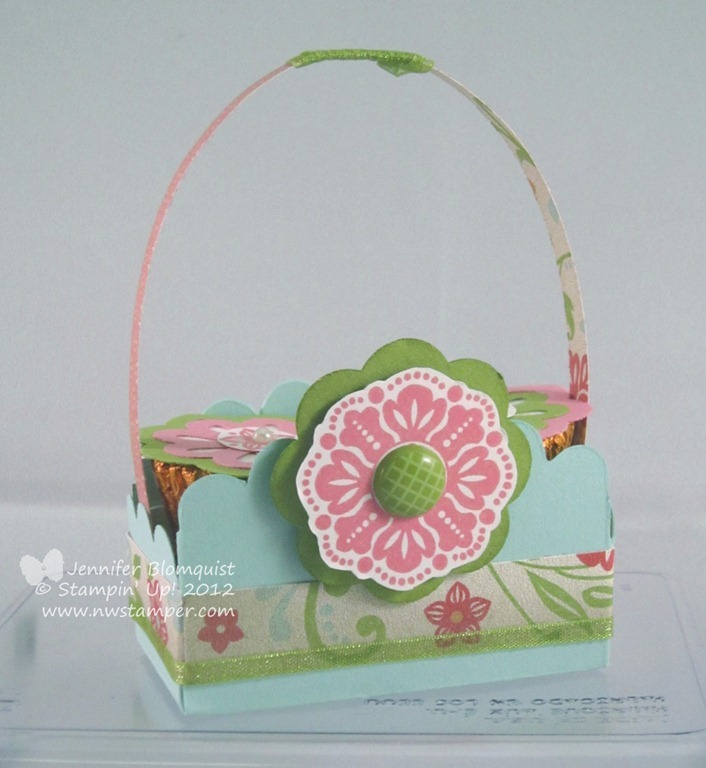 Its been crazy with snow and freezing weather here in Seattle, so I needed a bright and cheery card right now. I think this fits the bill nicely! Plus it can be very relaxing to just sit and color in an image (in this case the “Thanks” using my blender pens and inks). I’ll be back tomorrow with more project ideas as I start writing posts sharing some of the projects I’ve been making recently. Have a product or project type you want to see? I’d love to hear what you are interested in seeing. Leave me a comment or send me an email and I’ll see what I can do to post up the projects I’ve done or will try to incorporate what you ask for in future projects. I’m always up for a challenge! … that is totally the song going through my head right now as I typed the title for this post. But the perky tune matches my smile and mood as I’m so excited to be re-kicking off my blog (including a new blog design!) and sharing the first of many projects I’ve been working on lately. 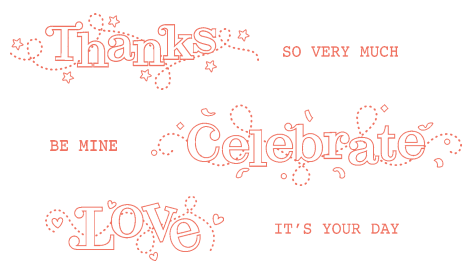 Also, I absolutely LOVE Sale-a-Bration time at Stampin’ Up! because who doesn’t love getting extra free stuff? Wanna see what I did with some of my free stuff? 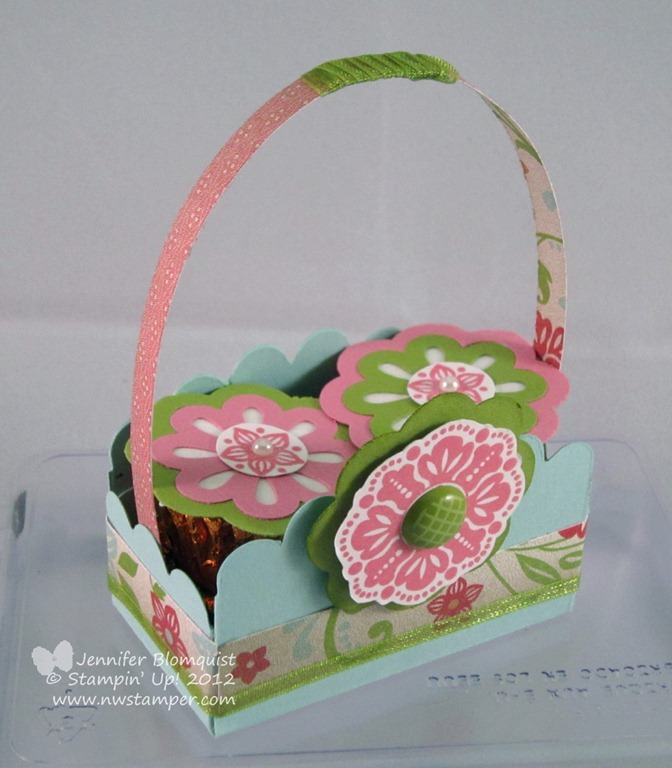 I used the new Fresh Vintage Sale-a-Bration stamp set and matching ribbon, along with one of my favorite new items in the Occasions Mini – framelits! 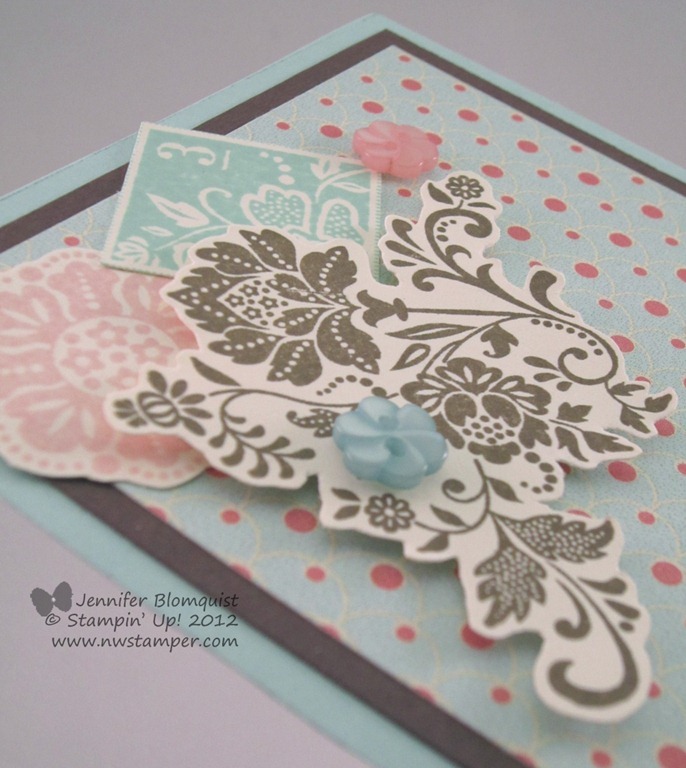 This is actually a pretty quick card to make aside from the coloring of the stamp with markers. But I think all the colors are worth it – don’t you agree? Get FREE exclusive items for every $50 you spend! There are stamps, cardstock, designer paper, fabric, digital designs, buttons, ribbon, and even embossing folders to choose from. Get extra FREE items when you host a party! Get a cute shopping tote on top of your regular hostess benefits with a $150+ workshop. 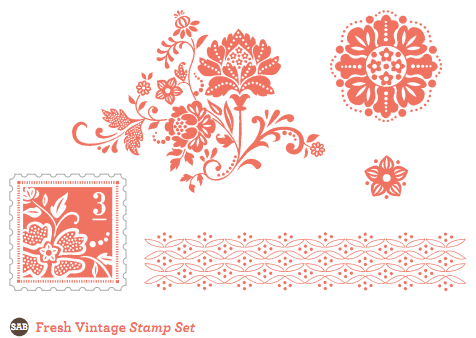 Get a free bundle of Sale-a-Bration coordinating items (Fresh Vintage stamp set and matching designer paper, brads, and ribbon!) with a $400 workshop. 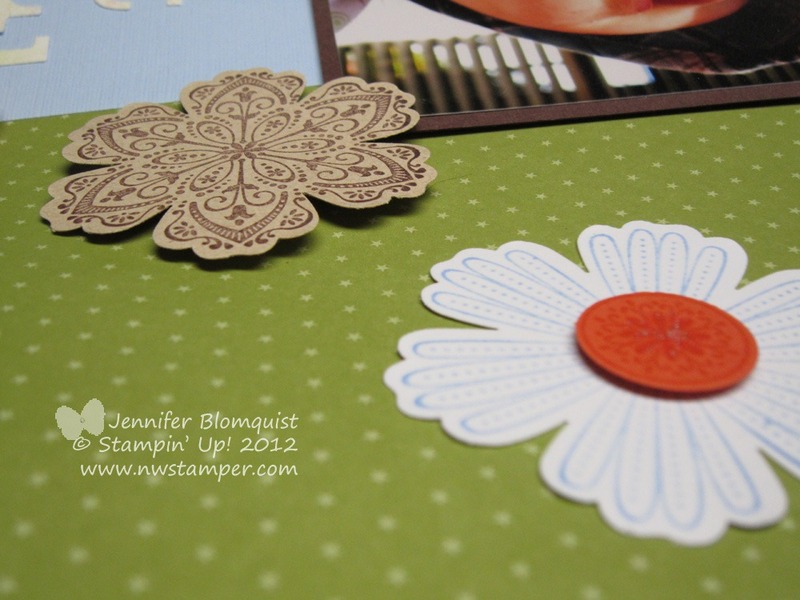 Get a FREE pack of designer paper or a digital download EVERY month for the rest of 2012 ~plus~ get a discount on the starter kit when you sign up as a demonstrator! Seriously, this is such a cool offer they are running right now. Not only do you get the full starter kit at a great price, along with all the other benefits of being a demonstrator, but you get free stuff every month as well. How cool is that?! I know, it’s a lot to take in. But check out the super cute stuff in the Sale-a-Bration catalog and let me know if I can answer any questions or if I can help get you all the freebies you are drooling over!